I’m a keen follower of cycling and racing, both locally, nationally and on a professional level to follow the best riders in the world. I wanted to speak about just some of the issues that are apparent in the world of women’s racing in 2018. It’s something that I have wanted to write about for some time but it’s an in depth topic with so many different issues it’s hard to know where to start! One of the main issues with women’s racing is that is doesn’t have the same amount of media coverage as the men’s racing scene. As a personal preference I prefer watching women’s cycling as I feel I can relate more to the riders and it’s something to aspire to as a female rider. I live with my partner who is also a keen cyclist and who also follows cycle sport closely, that includes women’s and men’s racing across road, cx and mtb. Every time we know there is a UCI women’s race on we always try to find the coverage and when women’s racing is on I will always watch it, for example I loved following the women’s Giro D’Italia and The Women’s Tour but also the National Series races in the UK too. These are great events, there was coverage on Euro sport each day and we were even treated to commentary! Often I’m hunting down media coverage and trying to find out if there even is any coverage of the racing that is taking place, often it’s just not there. It’s always frustrating too to find there is coverage of a race, but no commentary or time gaps. It makes it impossible to follow, it’s something but it’s not the same experience when your puzzling trying to find out what is going on. I am often asked by my non cycling friends if there is a women’s tour de France. The Tour De France is possibly the most well-known bike race, yet it lacks a women’s race. They often are surprised it is the case that there isn’t and then followed by why not? The answer is no, there isn’t but its my personal opinion is that there should be as there is no reason why not. The Tour De France is possibly the most famous and well known cycling race yet this is a race for men only, offering only a one day stage, ‘La Course’ for women. This year there was a one day stage, La Course and it was an amazing race with an unexpected finish and incredible victory for Annemiek van Vleuten. It was a race which got people talking, asking why there is only a one day stage. The thing is, I just think the organisers aren’t interested in running a women’s tour. If they were there would be one. If this is truly the case, I don’t really think we should fight it to insist that there should be one. 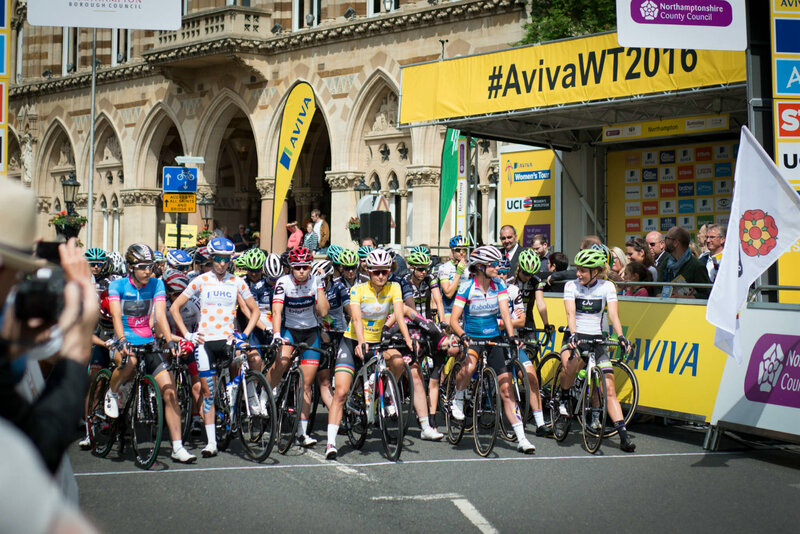 Yes I do think there should be a women’s tour de France, but instead I think we are better to grow better women’s cycling events, the Giro D’Italia and also the Women’s Tour in the UK. I would love to see more stages added to the Women’s Tour, to include a criterium, TTT and TT stage and grow this stage race into the best women’s stage race on the calendar. I would also like to see routes over some of the toughest climbs that the UK can offer to make for really exciting racing and tough stages. We already have the media coverage and the event is well supported with crowds lining the roads, I just would love to seen it grown further into something amazing. 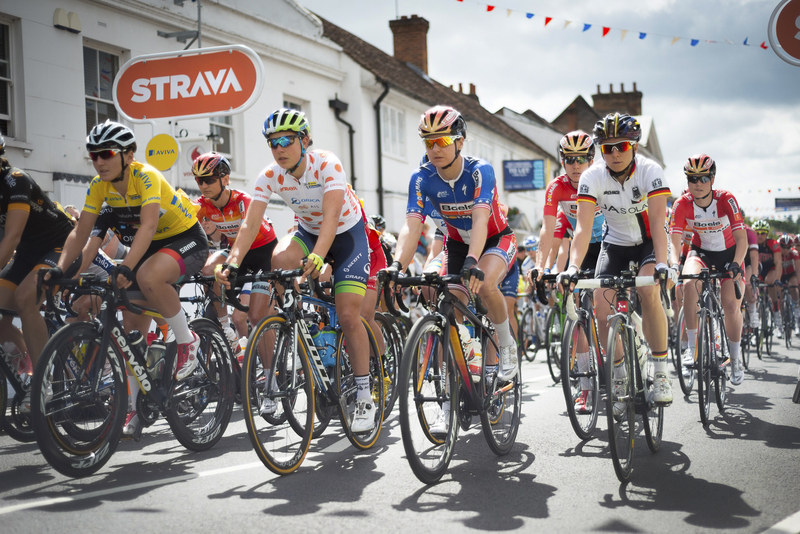 A recent controversial topic for women’s racing has been the announcement of the road race course for the Olympics in 2020. The Olympics are set to take place in Tokyo, the men’s race is to be 237km with 4865m of climbing to include the iconic Mount Fuji and the Mikini Pass. The women’s race 137km with 2692 metres but to exclude these two climbs. The distance doesn’t both me so much, yes the women’s race is much shorter but to be honest on long races I skip the start anyway. The start of long men’s races is like a club run with a chat and a catch up between riders before the racing starts anyway! The elevation of either races is tough, but it’s disappointing to have such iconic climbs in the men’s race that are then omitted in the women’s race. The talk amongst cycling fans on the lead up will be about these climbs, a hype that will be over looked when it comes to the women’s race. I can see why many women’s cycling fans and also riders are disappointed in this. The reasoning from the UCI behind the decision is that for the women’s peloton to ride this race would mean they would be riding a race much harder than any other race on the women’s calendar. I just feel like a route hasn’t been put together which offers parity and equality within men’s and women’s cycling, why can the same route have been offered for both providing a course which would work to offer equality?By having two separate courses in this way it just sets the sport back at one of the most iconic sporting events, I don’t know why the UCI would do this and it feels to me as though little thought has been put into the issue. Money is another issue that comes into play with the whole complex issue of women’s racing and it’s hard to get hold of any hard facts and figures on this topic. in fact the key issue really, on investment, salary, prize money just to start. As I understand women’s team riders most certainly don’t get the same level of funding as male teams and many riders are funding their cycling with part time jobs and support from family. The money just isn’t there, there has been talk about the UCI confirming that a minimum wage is to be set but actual figures relating to this are hard to ascertain. With the predicament were in I would safely say that there isn’t equality and parity on this front. However improved salary would mean more riders able to go full time, meaning better competition and better races. Another area for investment. I started racing around three years ago and since starting out as a cat 4 racer and new time trialler, I can confidently say that the standard locally has massively increased. I am a rider to have a go, I’m never going to be competing at the highest levels or turning professional but like to challenge myself and see where it gets me! 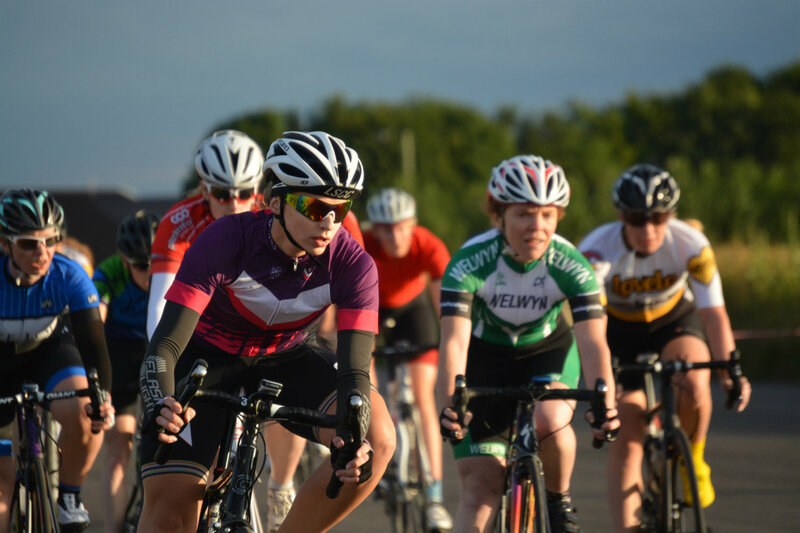 In our local area the numbers in races are increasing and more and more of our local clubs have more female riders joining the ranks which is great to see. More of the local TTs are offering equal prize money and there seems to be more awareness about the women’s results and course records on the local TT courses, something that often seemed to be a grey area not so long back. I speak of course for my experiences only, but as a female rider in a male dominated sport I feel like I’m well supported and treated just like any other rider. In local races and within my own club Leicester Forest CC, we have more of a growing female participation which makes racing and competing more fun. Especially when we are able to enter team events, for example local TTT events and it’s a great feeling to have club members out on the road cheering us on. That said, there are frustrations. 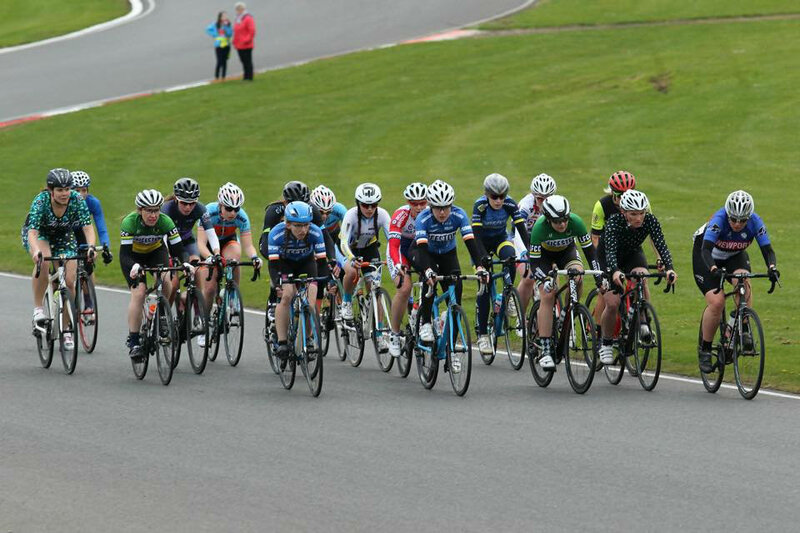 New female road racers don’t have the luxury of racing against a cat 4 only field as male riders have the luxury of. The lower numbers of female racers mean that cat 4 only women’s racing is very rare. Instead E1234 or 234 fields are often grouped together, meaning there is a huge range of ability in the same race. My advice to new racers is to try and find a cat 3/4 or 2/3/4 only race where there is more chance of an even playing field. The lower numbers in road racing also mean that there are never as many local races and you have to travel further afield. As the numbers at the grass root level continue to grow it will help support the women’s racing scene however with hopefully more options and opportunities coming available. A complex Issue – What’s the answer? I think a combination of things. More media coverage is needed, but media coverage often has the backing of sponsorship. More sponsorship is needed but then sponsors want media coverage. So what comes first? In an ideal world I would love to see some of the most successful men’s cycling teams taking an interest in women’s racing and building up a women’s team to run alongside the men’s teams, however I can’t see that happening. Funding and financial interest is needed towards riders and teams which can help to bring in more viewers and sponsorship to help the sport to grow, something that some of these big teams could offer. The racing opportunities then need work from the organizers at the top levels of our sport, why is the 2020 Olympic road race course so different missing out the best features? Why haven’t the organizers considered both races in their route choices? 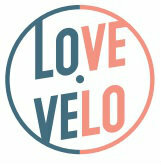 We aren’t talking volunteers from a local cycling club here giving up their time for the love of the sport, we are talking organizers for events at the very highest levels. It just often seems like women’s racing is a second priority, with events like La Course almost out of courtesy that organizers can then ‘tick the box’ by running a women’s event. The issue is a complex one to resolve with there being so many factors. I feel as though I only touch the surface, it’s come a long way but to progress further needs change and investment. Something that I hope to see in the future.